Well, here I am again, only two days into the New Year, with book one of 2016 already under my belt. It is the third book in the Narnia series and I really enjoyed it. The characterful monikers are delightful, Reepicheep, Trufflehunter, Wimbleweather and the Bulgy Bears being amongst my favourites! This story is one of adventure and triumph, and features Peter, Susan, Edmund and Lucy once more. In this tale, they are forcibly called back to Narnia, (literally disappearing from a provincial English railway station!) in order to reinstate the rightful Prince Caspian onto the Narnian throne. Aslan is crucial to their success, and as they depend on him, the task gets simpler. Susan was reluctant to conform when following the lion seemed like a harder and less logical step than carving their own path down the gorge. She is however forgiven by the Mighty Aslan, "You have listened to your fears, child. Come let me breathe on you. Forget them." This is a reminder of the allegorical nature of the books. But onto further reading and I must say that 2016 is off to a great start. 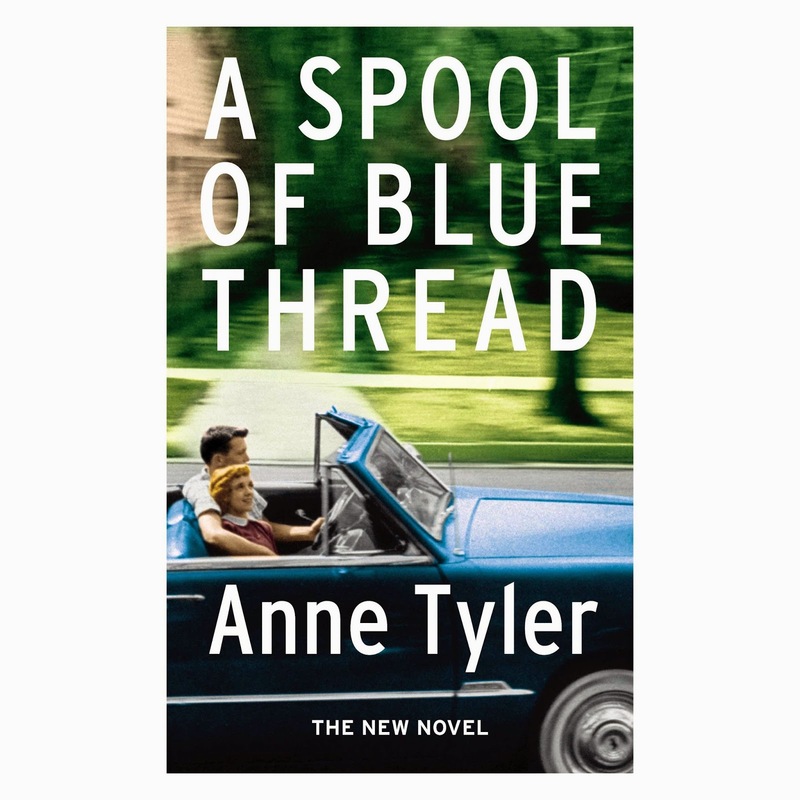 I thoroughly enjoyed A Spool of Blue Thread by Anne Tyler, and I'm quite excited to have discovered a new author to add to my collection. I am a bit late to the Anne Tyler party however! Clearly she has been rated for some years, having won acclaim in The Sunday Times and being a previous winner of the Pulitzer. I picked up the novel as it was shortlisted for the Baileys Women's Prize for Fiction 2015, and it did not disappoint. It was well crafted and absorbing. The novel weaves through family life, with the characters of Red and Abby forming the focal point. The opening chapter begins with a phone call where their son, Denny declares he is gay and then hangs up. Denny's absence is significant throughout the plot as his connection with the family appears to be random. This distresses his mother and causes resentment from his siblings, and I spent much of the novel trying to work out who he really was and why he chose to behave in the way that he did. Indeed, it is Denny who provides a link with the title, as in the closing stages of the novel he mends an article of his father's clothing with a spool of blue thread. This is a gentle novel, providing family history and illustrating how families interact and depend on one another. It looks at identity and how we establish it, best constructed through the youngest son, Stem who isn't blood related at all. I found the lives of each character sufficient to hold my interest and retain credibility. The Whitshanks could represent any number of families living and loving at close quarters. But the ending disappointed me a little. I felt that the story just stopped, rather than fully resolved. It is clear that the blue thread was symbolic, representing forgiveness for Denny that enabled him to move forward wth his life. And we know that Red will get on with his new life, though it won't be as fulfilling or agreeable as the one that he has given up. The other siblings will continue as before, but perhaps with greater understanding of one another, and thus the continuance of the Whitshank line will endure. And this is at its heart. That family will endure. And that isn't a bad way to begin a New Year. Next up is Lila by Marilynne Robinson. Please keep reading my blog, and feel free to add comments and recommendations. Am reading A Spool of Blue Thread now - it is holding me but does seem to rather meander along! And I haven't reached the disappointing ending yet! Thanks for your comments - will help at book club! I posted at 08.48 not 00.48!